Two goals inside the last 13 minutes saw Maritzburg United drawing 1-1 with Platinum Stars in their final action of 2015. Vuyo Mere put Stars ahead in the 77th minute, Brian Onyango ensuring the Team of Choice did not go home empty handed as he equalized in the 88th minute at the Royal Bafokeng Stadium on Sunday. Stars were almost ahead in the 23rd minute through Tintswalo Tshabalala, but his free kick deflected just wide of the target. The home side had a great chance when a route one ball over the top of the defence put Bongi Ntuli in on goal but the striker was unable to beat goalkeeper Tawfeeq Salie, who did well to come quickly off his line and close the angle. On 41 minutes Philani Zulu provided a wonderful piece of skill to wrong-foot Vuyo Mere before picking out an unmarked Mohamed Anas with a wonderful cross, but the Ghanaian striker wasted the chance by heading over the crossbar. 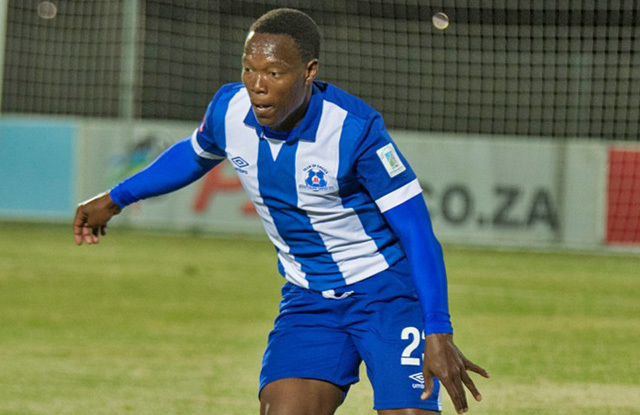 Khulegani Madondo had a great chance to break the deadlock when an out-of-position Salie was unable to clear the ball convincingly, but the midfielder put a looping header wide of Maritzburg’s unguarded posts. Maritzburg saw less of the ball after the break, but they were the first to really threaten a goal after the break, with Kurt Lentjies firing a fine shot on target direct from a free kick in the 70th minute. With 13 minutes of regulation time remaining Dikwena claimed the lead through Mere, who passed the ball into the corner of the net after a great build-up which saw Ndumiso Mabena assisting with a back-heel. The Team of Choice hit back 11 minutes later to earn a share of the spoils, with Onyango scoring with a fine header to make it 1-1 as he got on the end of an excellent free kick delivery from Lentjies.